Do You Want to Take Advantage of Solar Energy? To give you the information you need to harness the power of the sun for your home. This 46 page ebook contains definitions for more than 400 solar terms and acronyms. You'll refer to this handy reference over and over as you create your solar home. All this and more with your FREE subscription to Solar Energy Alerts! Your electric meter spinning backwards as you sell the excess solar power you produce to the utilities. The power of the sun heating the water you use in your home and your swimming pool. 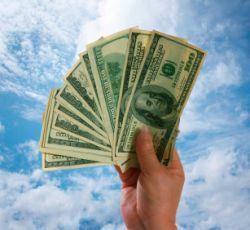 The money you're saving on your utility bills as a result of your use of solar electricity and solar thermal. 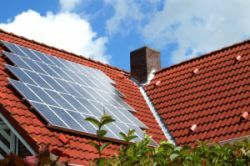 The increased value of your home due to your investment in solar technology. The positive impact you have on the environment as a result of your use of solar power. If you like that picture, then this is the site for you! This site is really packed with practical information that I can use to create my solar power home. Solar Energy Basics: Understand the basic facts about solar energy and solar power. 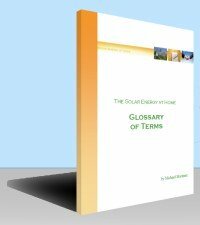 Solar Energy Uses: Understand the various ways solar can be used for your home and the technology needed for each application. 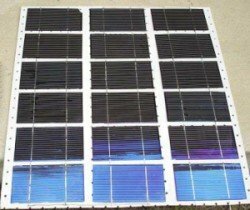 Solar Energy Solutions: Determine which solar applications and products are right for you and develop a plan to create your solar power home. Whether you will tackle a DIY solar project or you decide to work with a solar contractor, you can be confident that you have the information you need to make it a success.